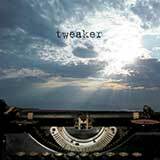 Best described as a mix of alternative, pop/rock, and electronica, Chris Vrenna's tweaker blends an intriguing mix of influences and atmospheres. Dark and moody, the most recent album, call the time eternity, is an electronic fever dream ride through a late night breakdown. 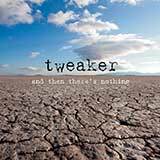 As an accompaniment to the album, tweaker presents and then there's nothing, a sixteen-track remix album. The new release presents two new songs alongside a stunning array remixers. Legendary names such as Gary Numan & Ade Fenton, Dave Lombardo (former drummer of Slayer), KMFDM, Dave Ogilvie, and Front Line Assembly offer their unique takes on Vrenna's songs, as do newer, growing names such as Army of The Universe, 3Kstatic, and Exageist.